UPDATE: EMI sells music business to Universal and Sony for £2.5bn | What Hi-Fi? 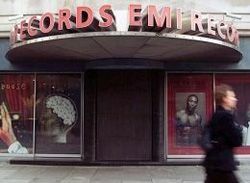 EMI, the legendary UK music firm, has announced it's selling its music business to Universal Music and Sony for £2.5bn. The deal involves splitting the business in two, with the recorded music division going to Universal for £1.2bn, and the lucrative music publishing unit – home of the Motown catalogue – going to a Sony-led consortium for £1.3bn. Universal beat arch-rival Warner Music by bdding around £250m more for the recorded music business, founded in 1897, which is home to artists such as the Beatles, Pink Floyd and Coldplay. A Sony-led consortium saw off a rival bid from BMG Rights Management, a joint venture by Germany's Bertelsmann and the private equity group KKR, for the publishing arm. EMI has had a troubled history in recent years, with Citigroup seizing ownership of the firm in February after previous owner Terra Firma, a private equity investment company led by Guy Hands, failed a solvency test. Terra Firma bought EMI for £4.2bn in 2007 just before the global economy collapsed. It struggled to meet payments on the £2.6bn it borrowed from Citigroup to fund the deal. In June, EMI said it would launch a strategic review into the future of the business, which it said could result in a sale, share flotation, or a restructuring of its finances.